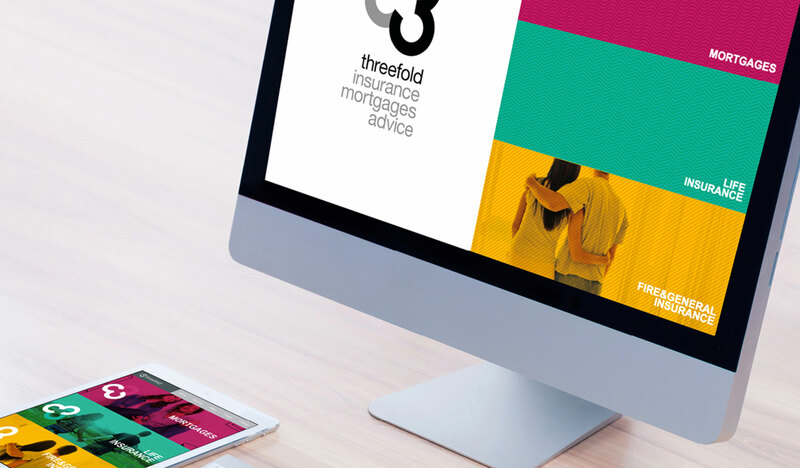 This was a ‘green fields’ development for a new partnership involving three financial experts and three areas of focus – general insurance, life insurance and home loans. Naming was critical to the success of this brand creation project, which is now flourishing, in spite of a highly competitive marketplace. The target audience, while relatively broad, is primarily those who are proactive about managing and protecting their financial future – business owners, high net worth individuals and ambitious ‘upgraders’ wanting to consolidate and improve their position. 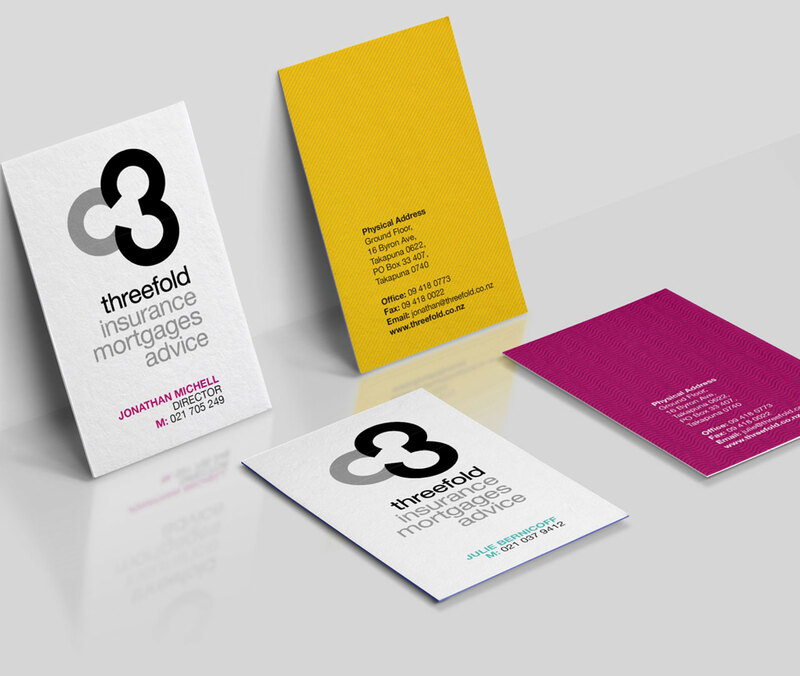 The brand look and feel we developed is youngish, vibrant, optimistic and engaging. It mirrors both the essence of the business and its key audience. Effective name and intriguing website design. 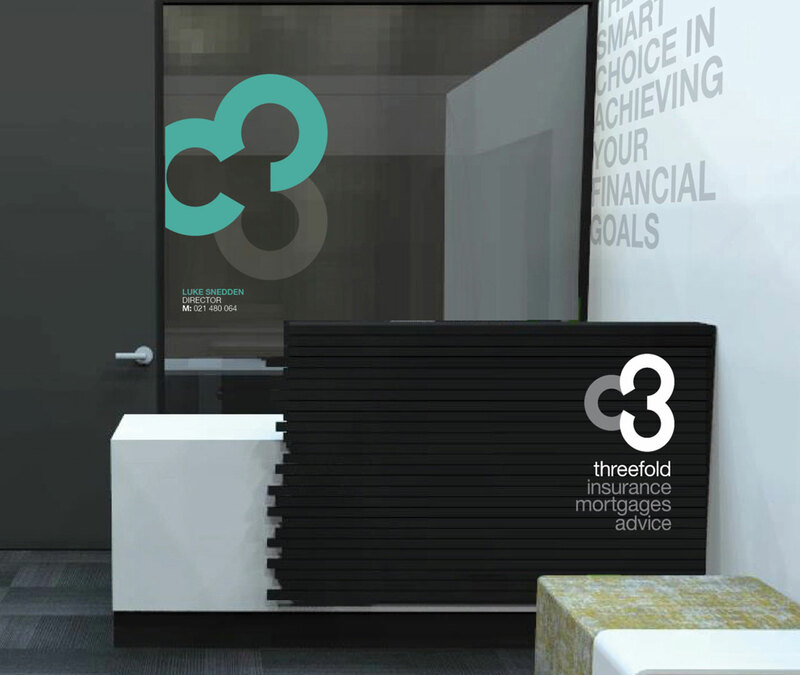 The name Threefold works on several levels. It reflects the three areas of service and three partners. It also hints at greater prosperity, which is the underlying aim of every customer. 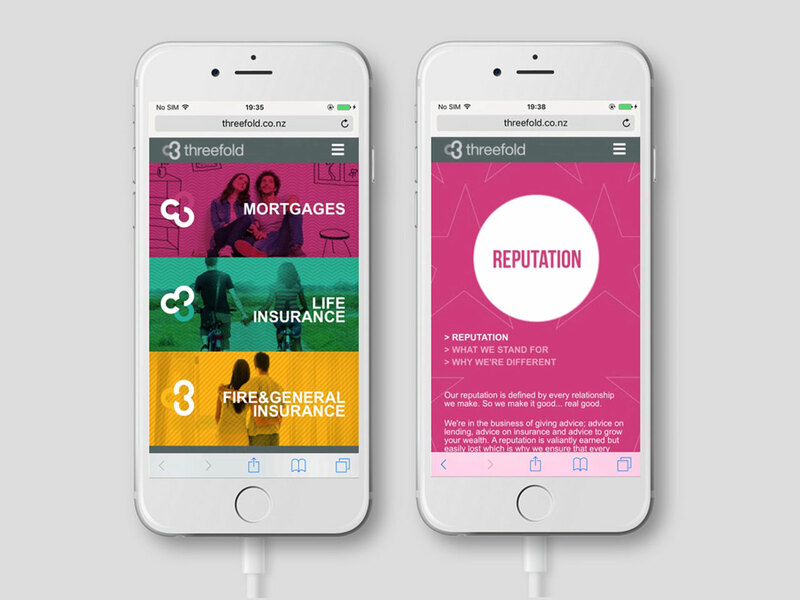 For Threefold’s online presence, our website designers created a user-friendly site with an intriguing split-screen movement – a valuable point of difference in the crowded webspace.